Wear this jewellery to match your evening party look. 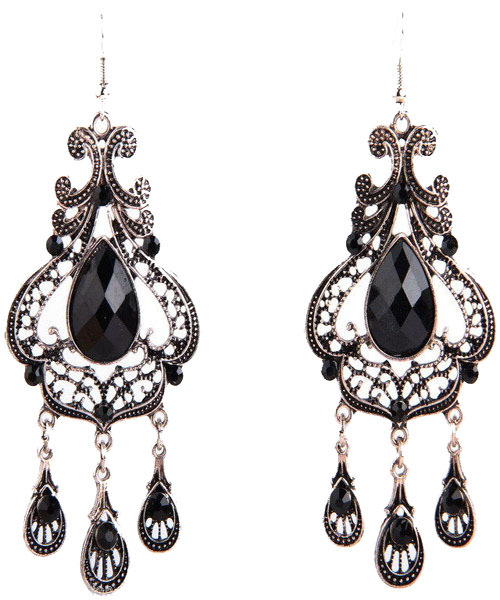 The earrings feature a charming net from silver-plated metal with small round beads and three long dangling details. The emphasis is made on a large faceted black teardrop-shaped crystal. Shop from Australia's largest range of fashion earrings online here and now!